An existing TransTex customer needed treating options on their central distribution point in Gonzales County, TX. 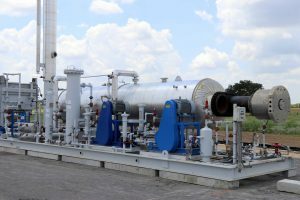 They had 4000 ppm H2S in their gas stream and turned to TransTex to model, install, and operate a 10 GPM amine plant with a modular gas train. 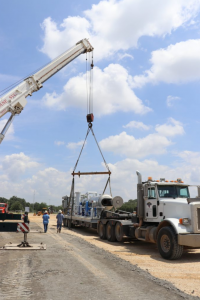 The plant was commissioned in August of 2017 and our customer is now maximizing their production at their distribution point by selling their once sour, but now treated gas.